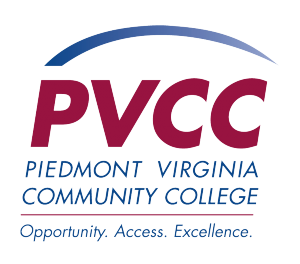 Piedmont Virginia Community College (PVCC) is a two-year higher education facility located near Monticello in Albemarle County. PVCC is one of 23 community colleges in the Virginia Community College System and opened its doors in 1972. Upon receiving an associates degree, many of its students transfer to other colleges and universities throughout the Commonwealth. PVCC's workforce development programs prepare students for a specific job, career change or skills upgrade. PVCC offers customized employee training programs and courses for businesses, industries, organizations and government in Central Virginia. PVCC's main campus is located at 501 College Drive in Charlottesville, Virginia. It consists of the Main Building, the V. Earl Dickinson Building for Humanities and Social Sciences, the Kluge-Moses Science Building and the Stultz Center for Business and Career Development. In 2010, PVCC opened the Stultz Center for Business and Career Development, a facility designed to provide classroom space, specifically for workforce development. PVCC opened a center in Stanardsville, Virginia, in August 2012. The PVCC Eugene Giuseppe Center occupies the second floor of the Green County Library building and holds classrooms, labs, a community meeting room and other facilities. The College began offering classes there in fall 2012. PVCC also opened a center in downtown Charlottesville, Virginia, in January 2013. PVCC is housed on the ground floor in the historic Jefferson School building. The College offers day and evening classes at this facility and is developing a new associate degree program in culinary arts to offer there, starting in fall 2013 and pending approval. PVCC consists of a total of 5,684 undergraduates, 79% of which are part time students. A PVCC student has been named the top community college student in Virginia in 2013, 2010, 2008, 2007, 2004 and 2001. In March 2016, it was announced that the Charlottesville Works Initiative would move to PVCC and Ridge Schuyler was named as dean of self-sufficiency. Donations to PVCC are received by the Piedmont Virginia Community College Educational Foundation. ↑ "Albemarle Training School - African-American Heritage VA." African American Heritage. Virginia Foundation for the Humanities. 17 June 2009 <http://www.aaheritageva.org/>. ↑ "Workforce Center Open for Business at Community College | Charlottesville Daily Progress." Charlottesville News, Sports, Business, Events and Jobs | Charlottesville Daily Progress. 28 Apr. 2010. Web. 29 Apr. 2010. <http://www2.dailyprogress.com/cdp/news/local/article/workforce_center_open_for_business_at_community_college/55513/>. ↑ Web. PVCC wants more women, minorities in science and math programs, Daily Progress, World Media Enterprises, retrieved December 5, 2011. ↑ Web. PVCC invests in advanced manufacturing, but Central Virginia is still looking for jobs, Derek Quizon, Daily Progress, World Media Enterprises, April 2, 2016, retrieved January 2, 2017. ↑ Web. PVCC named top small community college for veterans in U.S., Staff report, News Article, CBS19 News, January 30, 2019, retrieved February 8, 2019. ↑ Web. About PVCC, Piedmont Virginia Community College, September 14, 2010, retrieved August 23, 2013. ↑ Web. Presidents, Piedmont Virginia Community College, retrieved September 23, 2016. This page was last edited on 8 February 2019, at 12:32.